Reading progress update: I've read 98 out of 384 pages. Reading progress update: I've read 5 out of 384 pages. This was the cutest picture book. 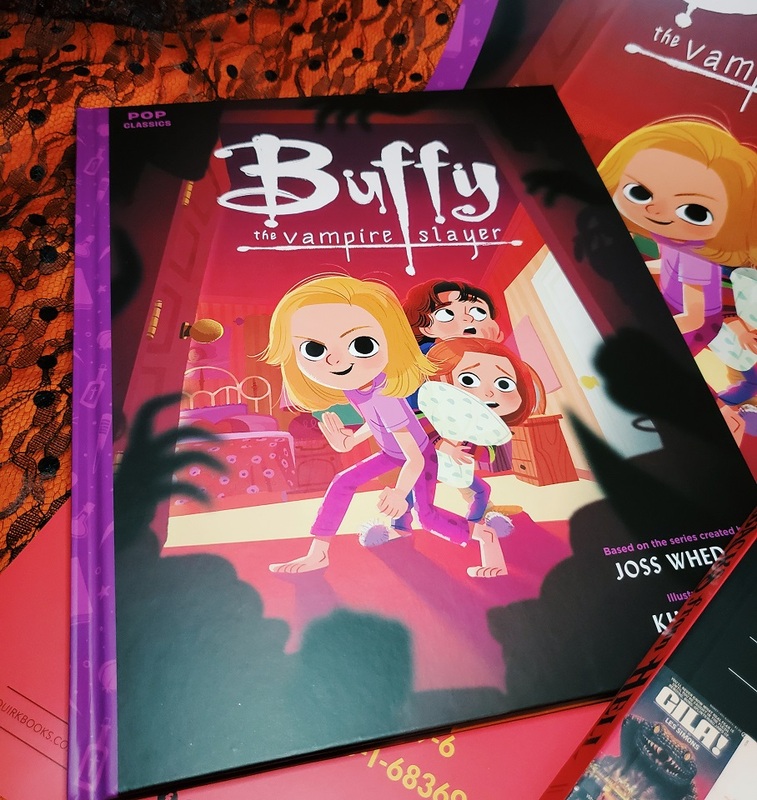 It is the perfect way to introduce a child into the world of Buffy and when they are older force them to watch all the episodes. 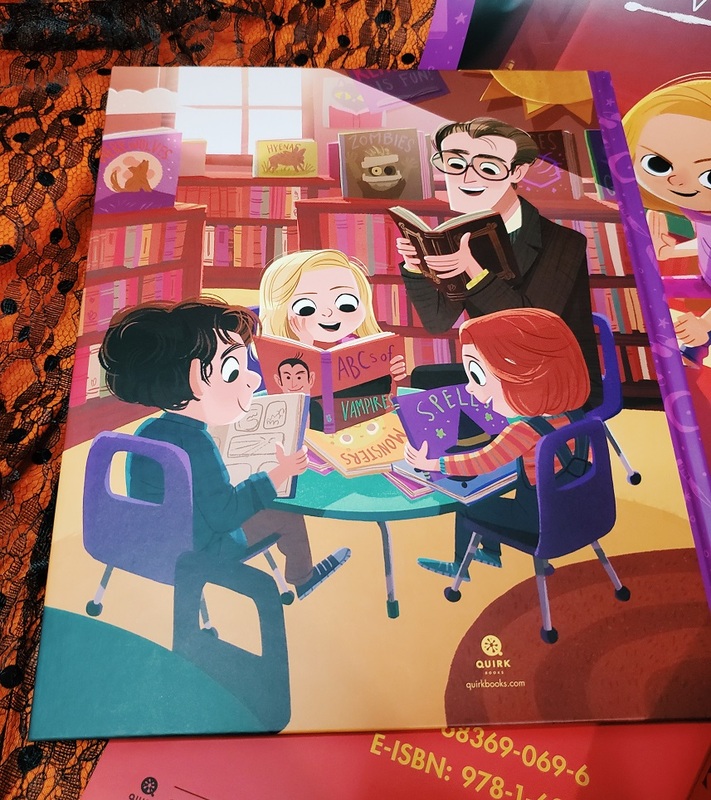 I loved looking for the little details that would make any Buffy fan smile in delight, or in my case grin like a dork and make a giggle sound. You see familiar faces of people Buffy goes up against in the show and her little pig stuffed animal, Mr. Gordo! I got two awesome books that prove I'm a really eclectic reader! I put in a special order at Barnes and Noble (because for some reason they didn't carry it in store!) 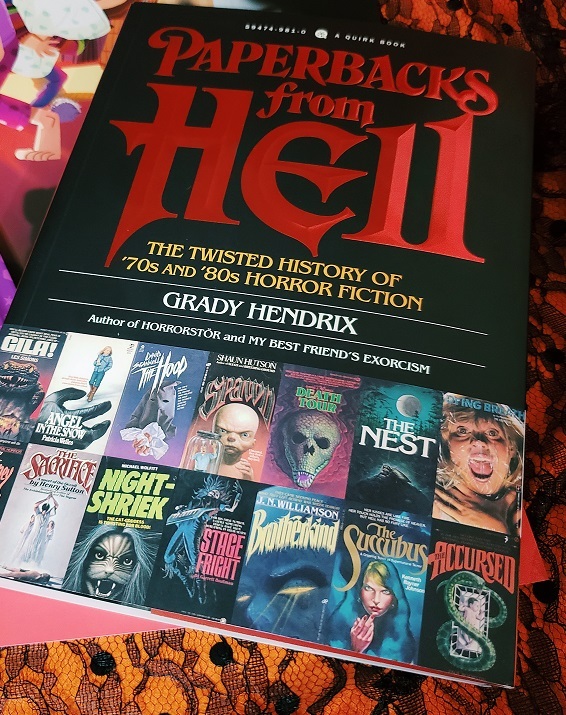 for Paperbacks From Hell by Grady Hendrix and while I was at the store to pick it up, we had to go into the kids section to pick up a birthday gift for a 1-year-old. 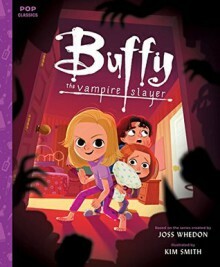 I saw the Buffy the Vampire Slayer picture book based on the series created by Joss Whedon, with illustrations by Kim Smith. I had to have it! For me! 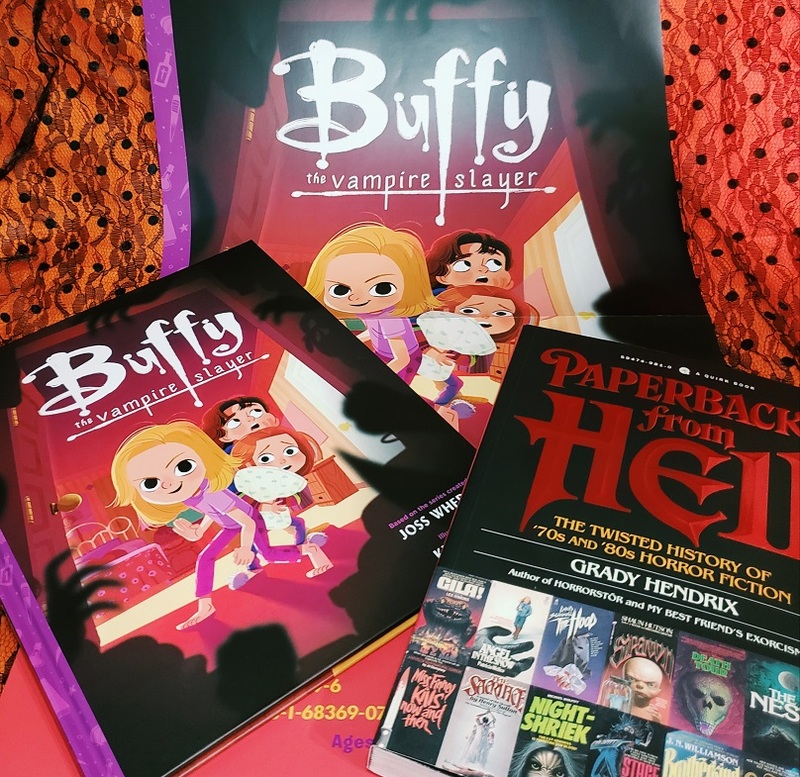 I love horror, adult books, YA, middle grade and of course children books. I think even if my body breaks down over time, reading in this manner will help keep part of my mind young. I'm such a dork. Both of these books are so cool!! 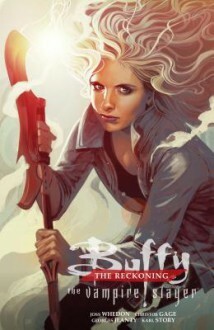 The back cover alone makes a Buffy fan happy! Look at the little attention to detail. When you read this, you have to remember it will be way different from the show. It has to be if they are marketing it for children. I've only flipped through Paperbacks From Hell, but I've already seen some books I own or read, which is pretty neat! 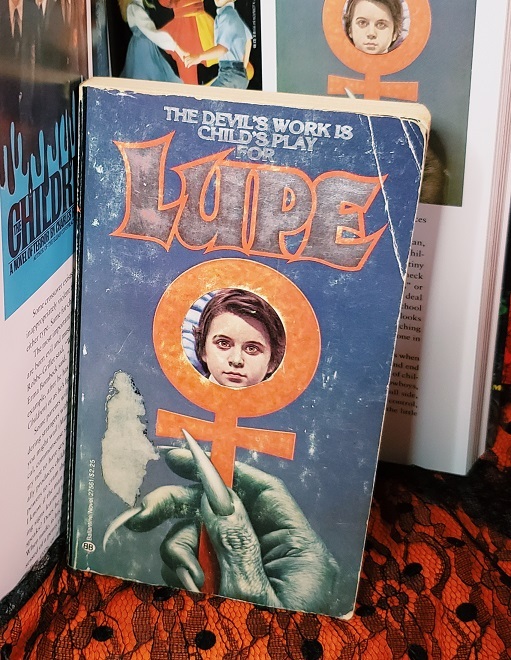 Lupe by Gene Thompson is from 1977. 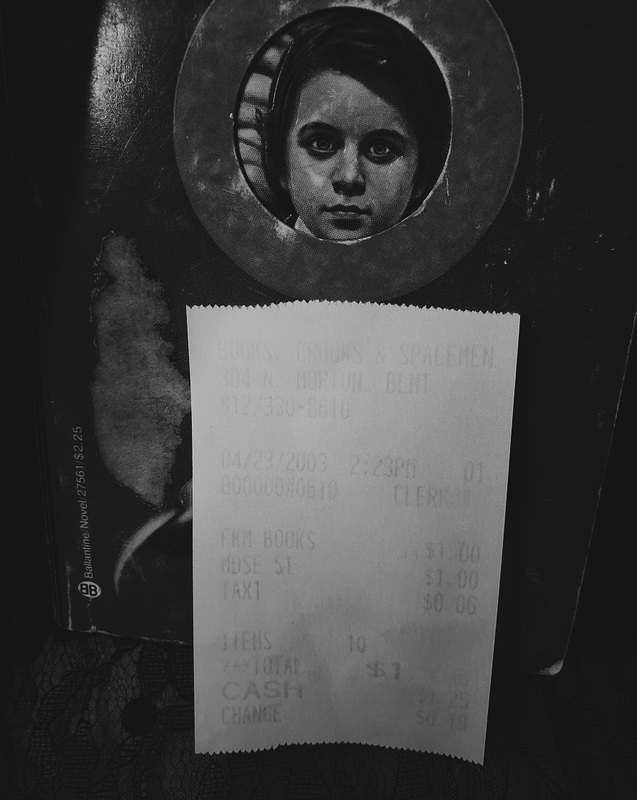 I bought my copy in 2003 from a little used bookstore for $1. So I read it at 19 years old. 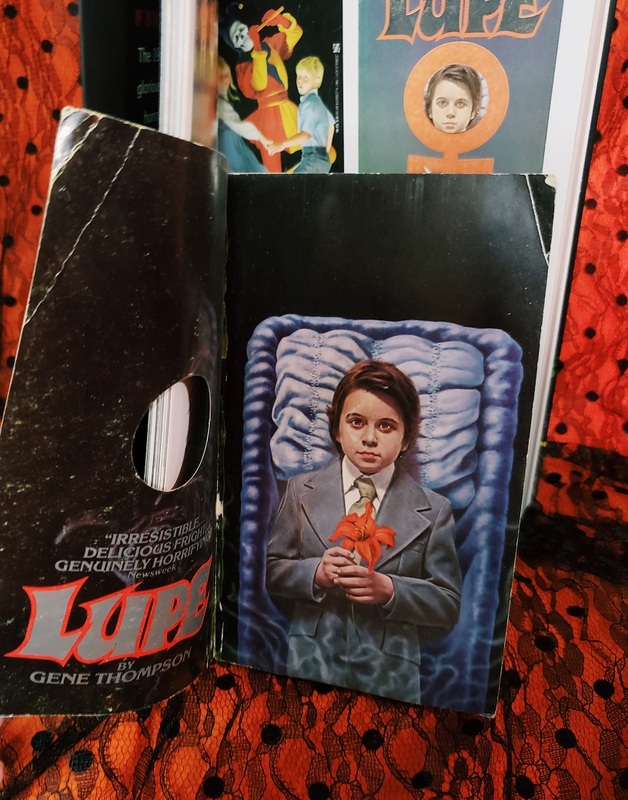 From memory, this book freaked me out! 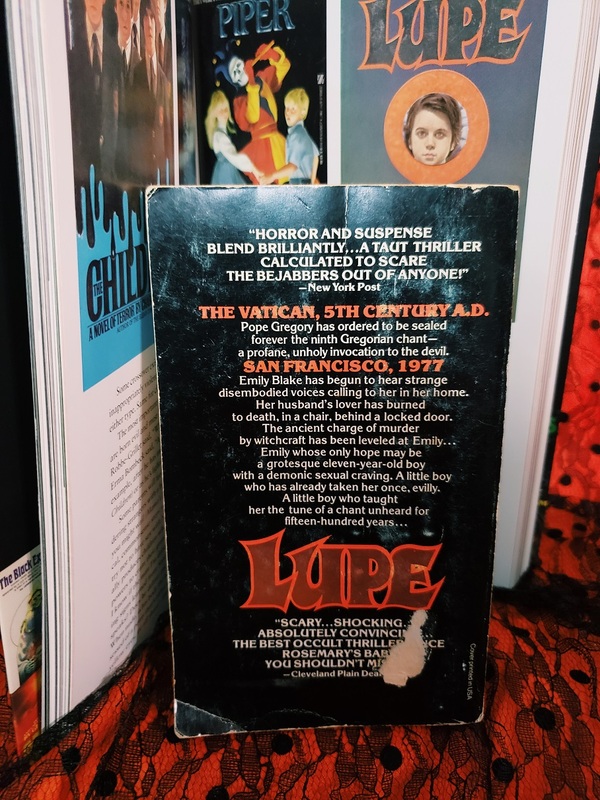 I was pretty sheltered as a teen, even at 19, so this was probably considered a Taboo book to be reading with my relgious family. I imagine I hid it. My copy got a little beat up. I'm not too bothered by that. 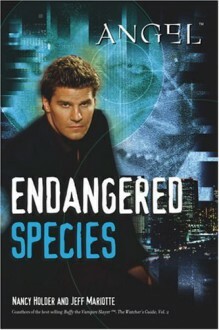 That just means this book has a history! 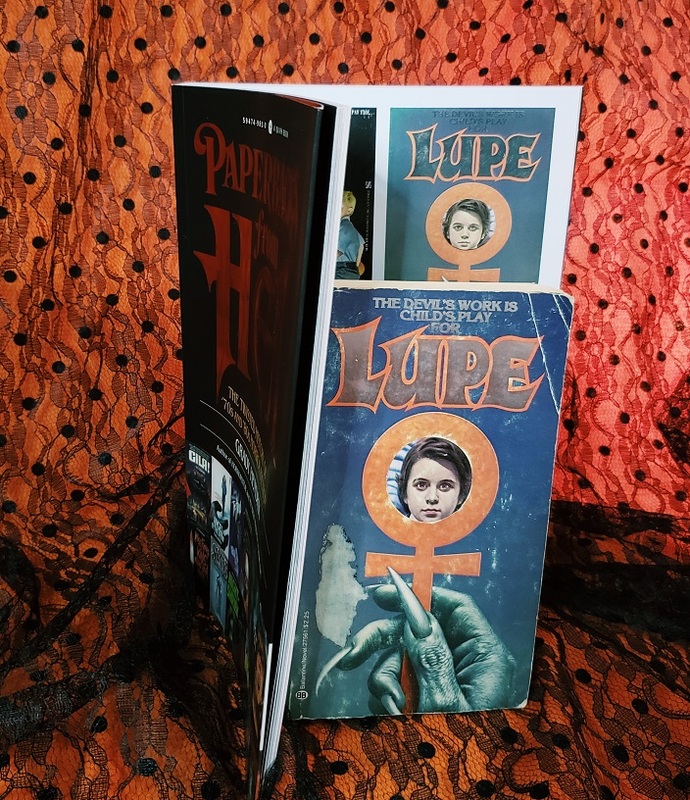 Would I buy it again if I found a better copy of the first edition (and for cheap again... haha) I probably would if I read this again and still liked the story. I tried to adjust the photo so you can see the faded text in the receipt! Not every day you find the original receipt tucked away.